Shop online for 81 ghq model trains at discounts up to 24%. 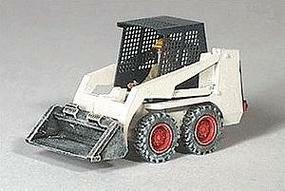 This is the HO Scale Bobcat Skid-Steer Loader (Unpainted Metal Kit) from GHQ. 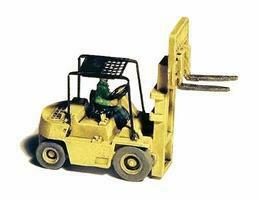 This is the HO Scale V80E Forklift w/Operator Figure (Unpainted Kit) from GHQ. 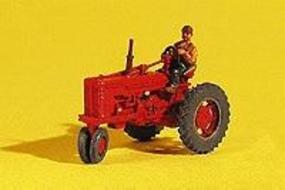 This is an unpainted metal kit in HO Scale of the Super M-TA Tractor from GHQ. 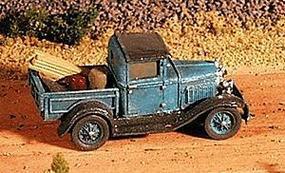 This is the N Scale Ford 1930 Model A Pickup (Unpainted Metal Kit) from GHQ. 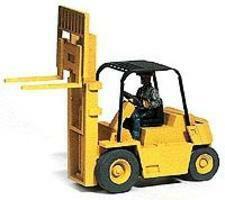 This is the N Scale 1980s-Era Forklift (Unpainted Metal Kit) from GHQ. This is the N scale American LaFrance 1000 Series Quadruple Combination Pumper Unpainted Metal Kit from GHQ. This is the N Scale 1941 344 Peterbilt Tractor w/Logging Trailer (Unpainted Metal Kit) from GHQ. 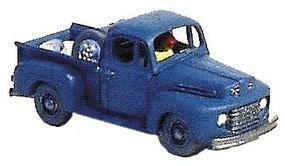 This is the N Scale 1950 Ford F-1 Pickup (Unpainted Metal Kit) from GHQ. This is the N Scale 1935 Chevrolet Master DeLuxe (Unpainted Metal Kit) from GHQ. This is the N Scale Ford 9000 Dump Truck (Unpainted Metal Kit) from GHQ. This is the HO Scale 50-Ton 3-Axle Low Boy Trailer (Unpainted Metal Kit) from GHQ. This is the N Scale Logging Equiptment IT18F Log Loader (Unpainted Metal Kit) from GHQ. This is the Emergency Vehicles Ambulance (Unpainted Metal Kit) from GHQ. This is the N Scale American Automobiles Checker Taxi Cab w/Decals (Unpainted Metal Kit) from GHQ. This is the HO Scale Red Little Gem 3-Bottom Plow (Unpainted Metal Kit) from GHQ. This is the HO Scale Hay Wagon Farm Equipment (Unpainted Metal Kit) from GHQ. This is the N Scale 1941 Chevrolet Ambulance (Unpainted Metal Kit) from GHQ. This is the N Scale 1936 Buick Coupe (Unpainted Metal Kit) from GHQ. This is the N Scale Logging Equiptment Komatsu Log Loader w/Heel Bottom (Unpainted Metal Kit) from GHQ. This is the N scale Emergency Vehicle Police Highway Patrol Squad Car (Unpainted Metal Kit) from GHQ.